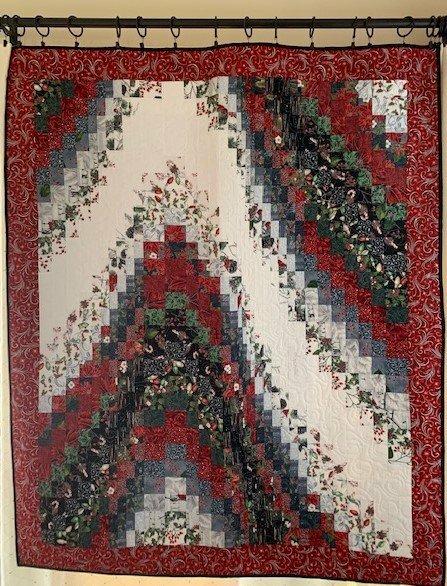 Have you always wanted to make a bargello quilt but were intimidated by the thought? Or are you looking for a quicker/easier way to make another one? Do you have a jelly roll that is just languishing in your stash waiting for the right project? Maybe you are thinking about a quick quilt for fall, Halloween, Thanksgiving, or Christmas - this pattern would be perfect! We will be making a lap size (50” x 61 1/2”) quilt based on one of our favorites - Jenny Doan and Missouri Star. So please join in the fun!